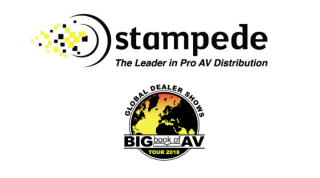 Stampede is taking the 2018 Big Book of AV Tour and Conference Series to Danvers, MA, giving Boston-area technology integrators, resellers, and end users a firsthand experience of some of the latest in AV and related technologies. The day will begin at 9:00 a.m. with a dealer panel discussion, followed by the Tech Showcase Exhibit where attendees and manufacturers will meet one-on-one to discuss the latest products, systems and services. A complimentary breakfast will also be served during the showcase. Like the previous stop in the Chicago area, the event will feature the Samsung Experience Demo Room. Guided tours will begin at 10:00 a.m. and will occur every 30 minutes for the duration of the event. The day will also feature a series of onsite presentations that include: “Overview of the Drone/UAS Industry and Business Potential” and “Drone Video Systems: A New AV Category for a New Age of Opportunities,” both of which will be led by dean of the School of Flight Training at Unmanned Vehicle University, Paul Dragos. Additional presentations include: NEC’s “10 Steps to a Successful Video Wall,” Samsung’s “All-in-One e-Board Solutions,” “Understanding the Benefits of 4L Projection” by Optoma, and “Video Wall Solutions” from Leyard and Planar. The daylong event will be held at the DoubleTree by Hilton Boston North Shore (50 Ferncroft Rd. Danvers, MA 01923). Attendee registration is now open here.